Walk into any climbing shop and you’ll be presented with a wide array of carabiners, loads of sizes, loads of shapes, loads of colours and a range of prices. 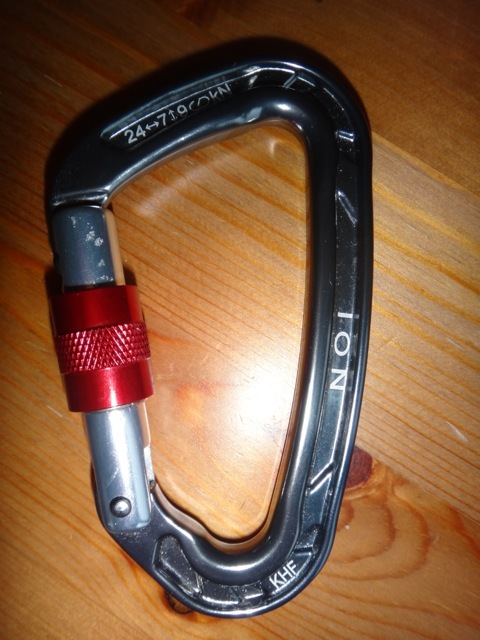 What ever carabiner you choose to buy please make sure that it is a type that is rated for climbing/caving and that it is suitable for job you will be asking it to do. 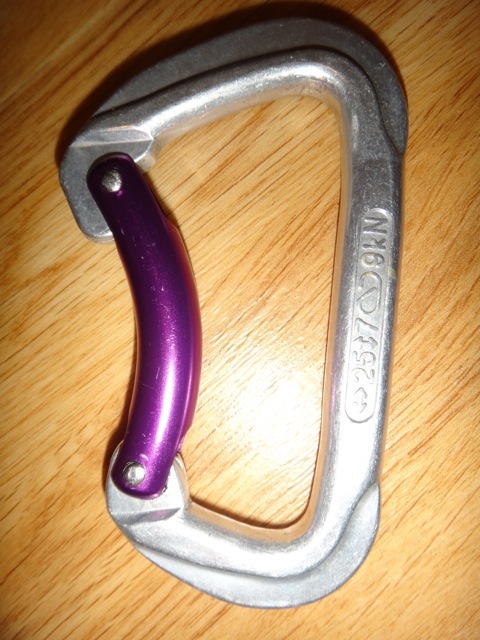 A carabiner suitable for climbing will have its strength rating forged, stamped or etched on it. 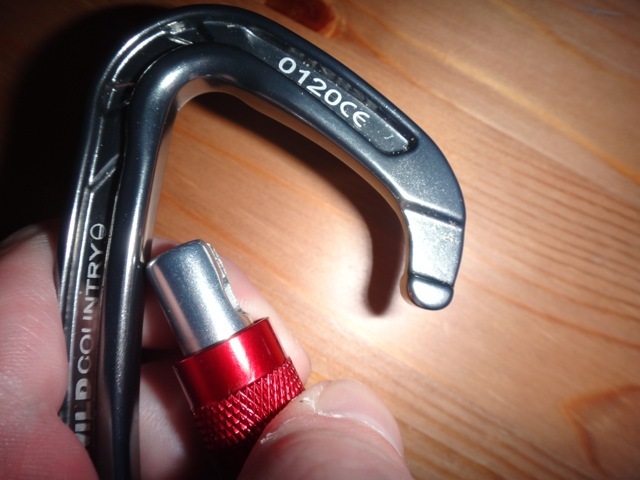 It should also conform to the relevant PPE standard (EN 12275, the standard for mountaineering connectors), this again should be present on the carabiner. There are some really super light carabiners available out there that are great for climbing but could be too easily damaged/compromised whilst on the river. In instances where hauling, belaying or security are required locking carabiners are best. I carry four locking carabiners as part of my kit, but also have a couple of non-locking carabiners in my boat for clipping gear into that can be called into service if required. 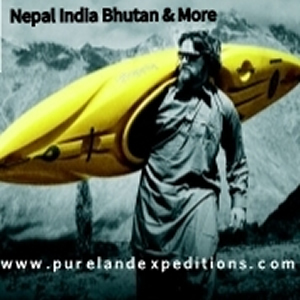 The number you should carry is subjective – Mountainbuzz, Pin Kit. For the record I am using a combination of DMM and Wild Country carabiners. Both are widely available, both companies are UK based and both have great customer service setups. In the case of DMM you can also pick up cosmetics seconds from V12 in the UK. 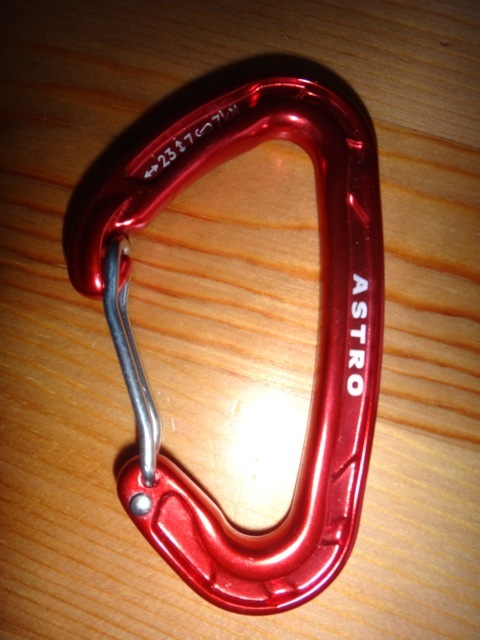 Oval carabiners are versatile bits of kit and are still really popular in caving and aid climbing. 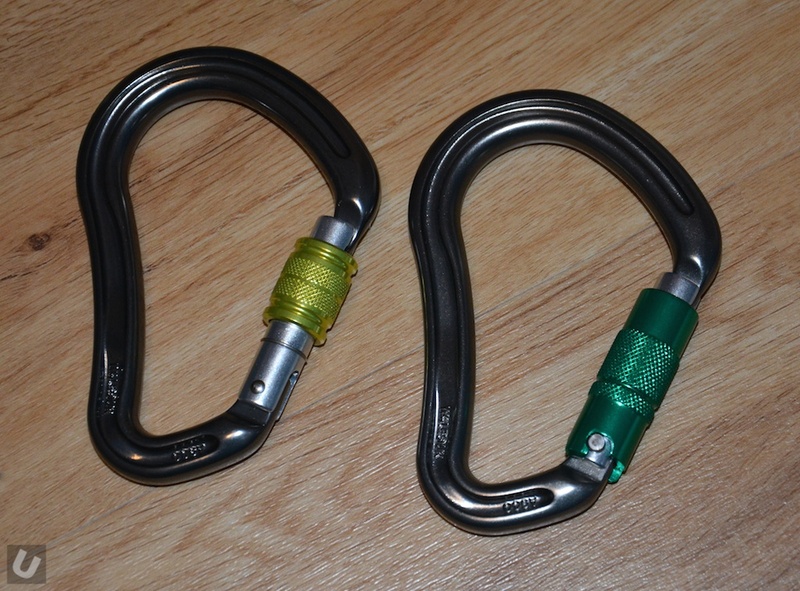 In the past these carabiners have often been seen as weaker and heavier than D-shaped carabiners. The developments in carabiner technology over the last decade or so has meant that oval carabiners are starting to make a come back in both locking and non-locking varieties. The vast majority of carabiners on the market are D-Shaped and asymmetrical. Asymmetrical carabiners are wider at the top than they are at the bottom and offer a wider gate opening than symmetrical versions. Non-locking carabiners have no mechanical device to prevent the gate from opening accidentally. They can be solid, wire, curved or straight. 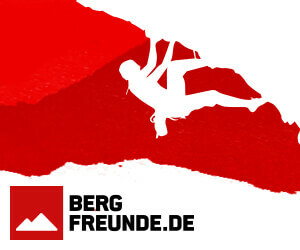 Its’s getting difficult to find solid gate carabiners in some climbing shops. Solid gates tend to be of an older design are slowly being phased out in favour of wire gates. As well as being heavier than a comparable wire gate carabiner the solid gate carabiner also has an inherent flaw. On rapid loading the gate vibrates and can under the right circumstances open/close (aka “gate lash”). Clearly this can be an issue and is the main reason why locking gate carabiners are the preferred choice for heavy/security applications. This is the most common gate type. 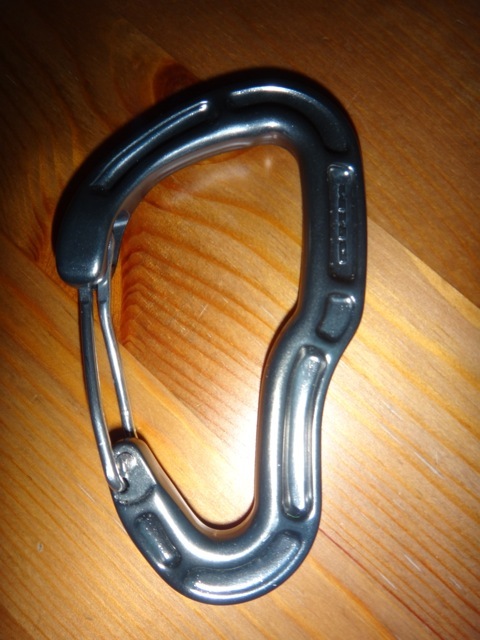 A bent gate carabiner has a concave curve. It provides a wider opening and makes clipping easier. 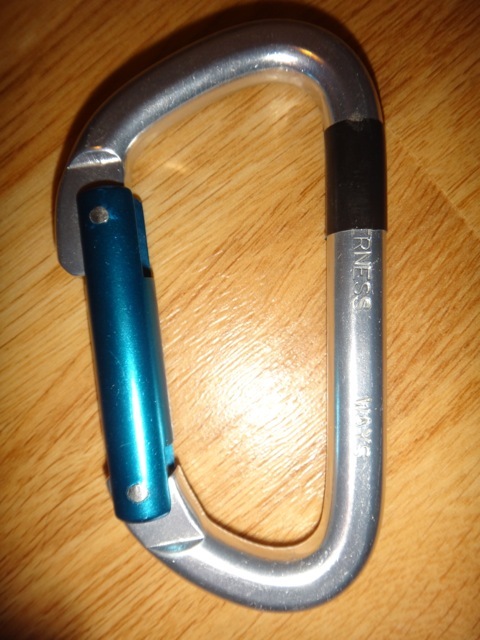 Some climbers believe that it is easier to accidentally open a bent gate carabiner compared to a straight gate carabiner. 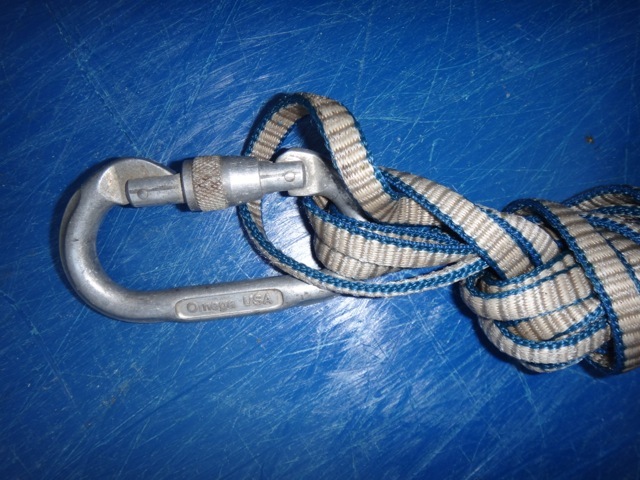 You will often see bent gate carabiners used on a cowtail. Unlike non-locking carabiners, a carabiner with a locking mechanism prevents the gate from accidentally opening. The user winds the screw mechanism to a position that prevents the gate from opening. Carabiners of this type are one of the core components of any pin kit. It is essential that the screw gate mechanism is cleaned and kept free from dirt/grit which might otherwise prevent the system from working as it should. Wire gate carabiners as the name suggests have a gate made from a single piece of wire rod. The thinness of the wire means that the opening is wider and therefore easier to clip in. The smaller mass also means that the vibration problems in a solid gate carabiner are no longer apparent. The nose notch is the spot where the gate closes against the carabiner body. Some designs have a small hook or notch at the closure. The keylock or notchless nose design is smoother and less prone to snagging when clipping or unclipping webbing, gear, or ropes. All of my locking carabiners have keylock noses. 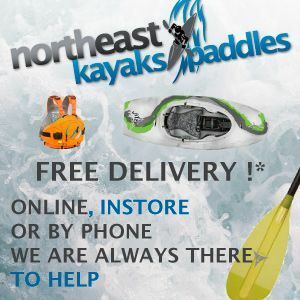 Over the last few years I have been putting a number of bits of kits through their paces on the water and on the crag. The following are now part of my basic kit. DMM Boa this is a large but lightweight HMS carabiner. It has a nice wide opening and has a nose notch. It has loads of applications for rescues on the water. This has to be my favourite type of carabiner. DMM Sentinel HMS this is much smaller than the Boa. I tend to use this for tying into. The DMM Shield is used for clipping gear into my boat and as a backup carabiner in case I need more. 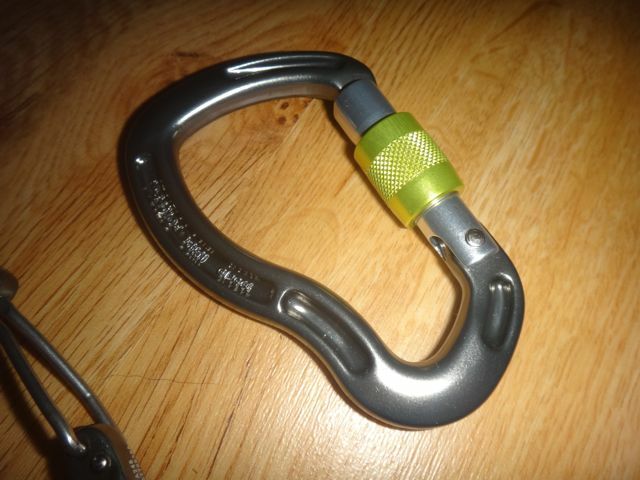 Great article on carabiners. Just to clarify your reference to CE marks in the second paragraph is incorrect, but a very common misinterpretation. The CE mark indicates compliance with the minimum requirements of the relevant directive, in this case PPE. The EN is the standard which the item has been type approved against e.g. EN 12275, the standard for mountaineering connectors. A carabiner is a piece of category 3 – complex PPE, something designed to provide protection against mortal danger or irreversible harm to health. Items such as this will carry a series of numbers with the CE mark, this is the Notified Body number. The Notified Body is the test house where the piece of equipment was tested to be approved against the EN standard. Your example of 0120 CE refers to SGS in Switzerland, a test house commonly used by DMM. Keep up the great work, don’t hesitate to get in contact if you want anymore info or articles written on this or similar subjects. Many thanks. Some useful info there. Would be very interested in any articles at all for the site. Thanks have updated the post.